BIRMINGHAM, AL (WBRC) - You can expect another tranquil evening across our area, with temperatures tumbling into the mid to upper 50s by 9 p.m. Overnight lows will be in the 40s, with a light southeast breeze and a partly to mostly clear sky. We will be tracking our next rainmaker tomorrow that will start to impact the state tomorrow night. I’m expecting a sunny start to the day, with more clouds entering the picture during the afternoon hours. A few showers can’t be ruled out to the northwest tomorrow evening but the higher rain chances arrive on Monday. 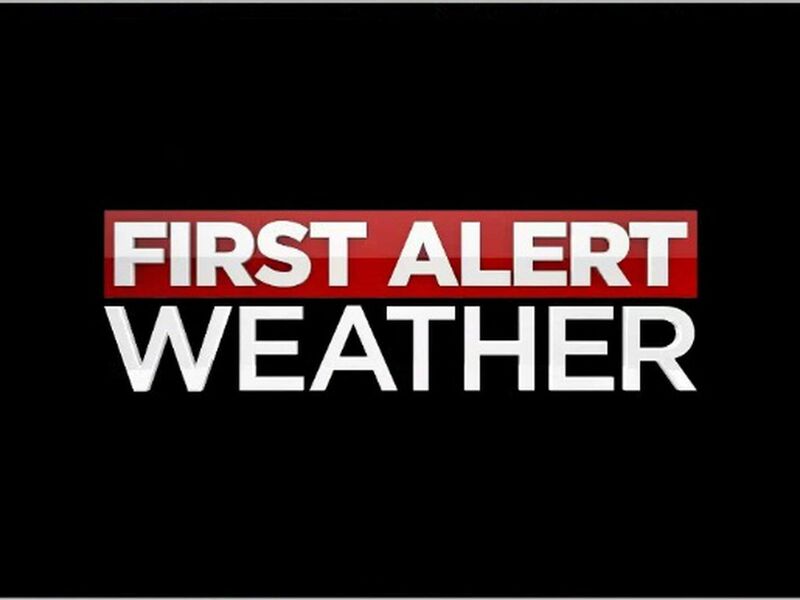 FIRST ALERT FOR RAIN AND POSSIBLE STORMS ON MONDAY: A complex of rain, along with a few embedded storms, is expected to track east across our area on Monday. The good news is this system should move through fairly quickly and right now no severe storms are expected. We will continue to monitor closely just in case any adjustments to the forecast are needed but for now I think we will be in good shape. I would keep the weather app nearby so you can receive lightning alerts if storms materialize. The wind will be out of the southwest on Monday but as the storm system exits, we will have a wind shift to the northwest direction as cooler air flows in. THE REST OF NEXT WEEK: The only rainmaker we’re seeing for next week is Monday’s system so you can expect another nice stretch of dry weather starting on Tuesday. Wednesday morning looks to be the coldest, with lows ranging from upper 30s northeast to low 40s further south. We will enjoy lots of sunshine for Tuesday, Wednesday, Thursday, and Friday. I do expect a milder south wind late in the week for Friday and Saturday, with highs reaching the 70s. We could see a few showers back in the forecast by next Sunday. SPRING BREAK WEEK: I know it’s spring break for many so if you are traveling, the big weather story will be Monday’s rainmaker that will impact the Smoky Mountain region on Monday and the Gulf Coast Monday night. After this system passes, you can expect a return to dry weather by mid-week. Temps will feel quite chilly in the mountains, with clouds and highs in the 50s on Tuesday and lows in the 40s and upper 30s. Sunshine will return to places like Gatlinburg by Wednesday. Temps will top out in the mid to upper 60s through mid-week along the coast, with sunshine through mid-week. Lows will be in the 40s. Average sea surface temperatures are in the 60s. I will share more details on the spring break forecast in my weather updates tonight on the evening news. 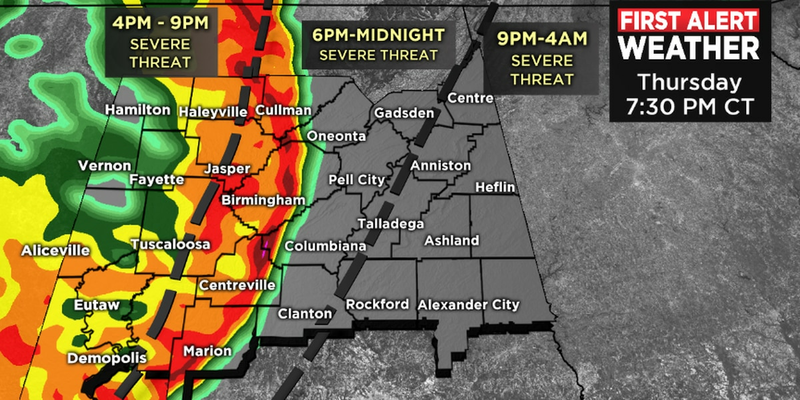 Join us at 9, 9:30, and 10 p.m. on WBRC FOX6!